John Skardon is a problem solver. It’s why he earned a degree in engineering from Clemson. It’s why he returned for a Ph.D. in policy studies after decades leading manufacturing companies and various startups. And it’s what he teaches his students at Cal State University where he is a lecturer. 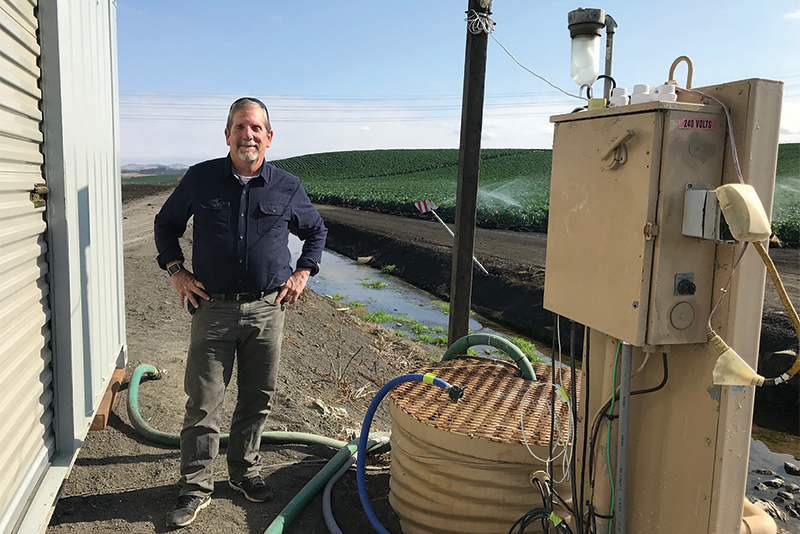 Skardon saw a problem in his home city of Monterey, California, where nearly 80 years of expanding agriculture had contaminated wells and ground water with nitrates, primarily from the constant use of fertilizer. This issue isn’t exclusive to California, as the resulting unsightly algae slicks cause ecological and economic impacts across the world. Many farmers are now required to clean up runoff but don’t have an affordable way to do so. When told there was no solution to remove these nitrates, Skardon just saw an opportunity for problem-solving with students. “Removing nitrates is not a science problem because it’s done all the time in aquariums and fish farms,” explains Skardon. “The real issue is doing it in an agricultural environment without labs and in some cases without power.” He looked to large-scale denitrifying filters in water and waste treatment systems along the Mississippi River. The challenge was clear: take big technology and scale it down. The research was moved into practical application through Skardon’s business, Tailwater Systems, where he’s now demonstrating what he studied in his doctoral program — the role of institutions in perpetuating or solving problems through innovation. The company is providing an affordable, scalable solution for farmers dealing with fertilizer runoff.